Technology significantly improves the lives of today's global citizens. People are able to find information and call a friend or relative with the click of a button. They can also use electronic equipment and machines to speed up the production line and get items to consumers faster. Unfortunately, technology comes with its risks as well. Devices can easily be infected with malicious software without you even realizing it. Mobile devices are convenient when it comes to being on the go. You can access nearly any information you want, from social media to bank accounts. People don't even need computers to complete their responsibilities or to conduct research. 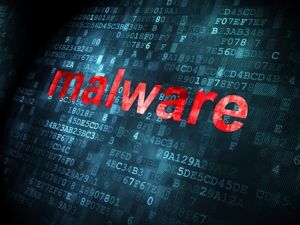 According to G Data's "Mobile Malware Report" for the first quarter of 2015, nearly 61 percent of mobile users around the world accessed tablets and smartphones with Android operating systems. However, some of them may regret their purchasing decisions. G Data found more than 440,000 cases of malware in Android devices just in the first quarter of 2015. This is a 21 percent increase from the same time period last year. There are nearly 5,000 new files created and accessed daily. Unfortunately, many of these are targeted at banking information - at least half of all malware is financially motivated. "The use of smartphones and tablets for online banking is increasing rapidly. With its dominant market position, the Android operating system in particular is coming to the attention of cyber criminals. Hence it is no surprise that attackers are developing and distributing financial malware such as banking Trojans especially for this platform," Christian Geschkat, the product manager of G DATA Mobile Solutions, explained. "As such, we are expecting a significant increase in financially motivated malware for the Android operating system this year." According to G Data, malware is finding its way onto Android devices before the products reach consumers, eWEEK reported. Rogue retailers are allegedly gaining access to smartphones and installing viruses and Trojans. They then sell the merchandise to unsuspecting customers. Unfortunately, this may be a difficult enemy to vanquish. The malware ends up on the products between the time they leave the manufacturer and arrive the customer's hands, and people don't have proper security measures in place to protect their devices from being compromised. According to PricewaterhouseCoopers, there was nearly a 50-percent increase in cyberattacks from 2013 to 2014. However, the spending for secure systems decreased, especially in companies with less than $100 million in revenue. Small businesses reduced their investments by 20 percent, but medium- and large-sized corporations increased their spending by 5 percent. Unfortunately, neither of these costs is sufficient to protect against ever-growing cyberthreats. Companies must implement stronger security measures at all parts of the supply chain to prevent, or at least reduce, the risk. Employees in each department need to be trained on Internet security, from not opening emails from unknown senders to not visiting untrustworthy websites. Passwords and virus protection programs should also be in place to keep systems secure.